Newport Beach Chamber of Commerce hosted their monthly Wake Up! 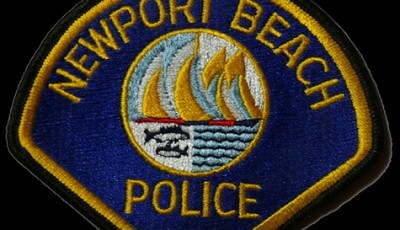 Newport meeting on Thursday morning in the friend’s room at the library. Newport Beach Fire Department Chief Chip Duncan was the guest speaker. He explained to a crowd of about 100 people how the NBFD fights wildland fires, mutual aid, preparedness, and more. Climate change, along with other factors, like drought and forest management and more, have caused the increase in destructive fires, and the fire season to now be known as a “fire year,” Duncan said. 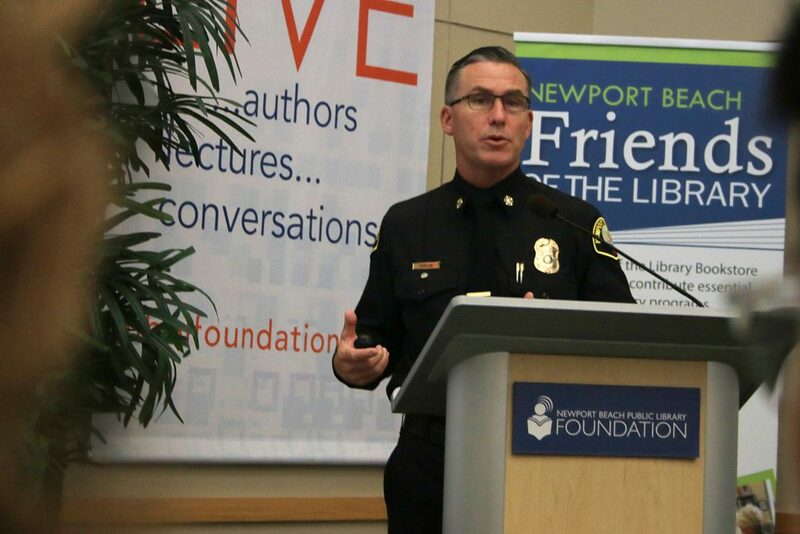 Newport Beach Fire Department Chief Chip Duncan speaks at the Chamber of Commerce Wake Up! event on Thursday. “Climate change is a reality,” Duncan said. Fire is a normal part of the ecosystem, he explained. They are wind, slope, and/or fuel drive. 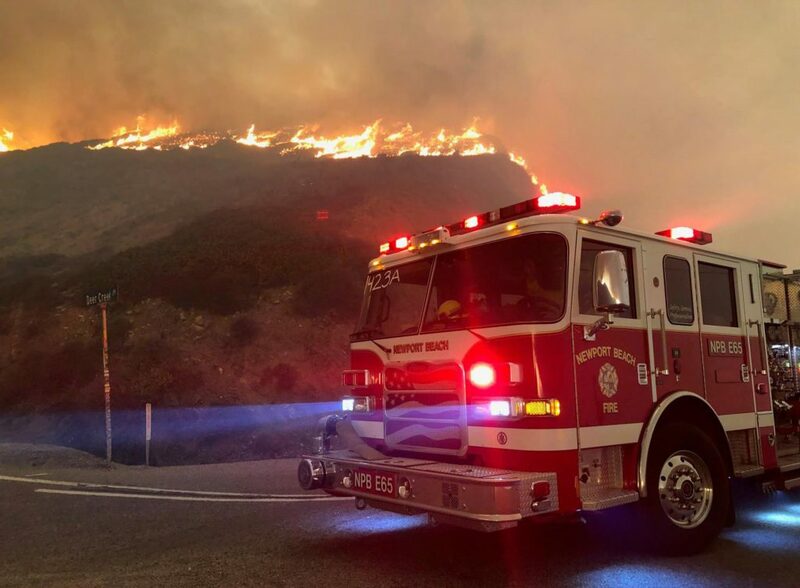 In Southern California, the most problematic and most common are the wind-driven fires. Wildfires get sensationalized, but fighting them is more of a science, Duncan noted. Duncan also went over mutual aid efforts, and how Newport Beach works with other fire departments across the state when called on. It is much more organized now than it has been in past years, he noted. He also told the crowd ways to protect their home, or help their house become “hardened.” Simple things like not stacking firewood next to the house or cleaning out the gutters can make a big difference. He also briefly spoke about the Ready, Set, Go Program, which helps residents with preparedness, awareness, and acting early in case of a fire.